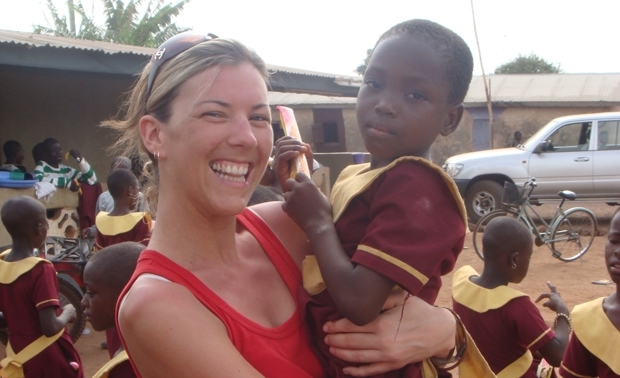 Interested in volunteering in Africa? Volunteer with Let Us Shine! Would you like to experience the real Africa? Have you got skills that would help the local Ghanaian community? Do you want to give more than a monetary donation? Volunteers are absolutely essential to the running of Let Us Shine. We need volunteers to make a difference to the lives of underprivileged children, who are always eager to learn to improve the quality of life for them and their families. We are always looking for new methods and ideas to improve our school: whether it’s different approaches to teaching, afterschool activities such as painting and storytelling, or help with building work and farming, your help is invaluable. In return, we strive to make sure you have the best possible volunteer experience. The success of our volunteer programme is evidenced by the fact that many volunteers have made return visits (up to 10!) and have become key fundraisers for the charity in their spare time. If you decide to come and visit us, our wonderful staff will look after you and show you the real Africa. You will experience local culture and customs and will become part of our ever growing family. Staff, pupils and volunteers live on our 26 acre plot of land where we have a school, boarding accommodation, kitchen and dining area, sports field and eco farm. Please contact us if you wish to volunteer with us. Please read below for more information. Anyone can volunteer. Since 2006 volunteers aged from 12 to 69 have visited the community in Ghana spending between 10 days and 3 months working with the team. Anyone is welcome to come and see what we are doing and help out in any way they can. Anyone from fully qualified teachers and students to non teachers including people taking career breaks can volunteer. Our volunteers can teach individual lessons, assist the local teachers, hold after school homework clubs, assist with library time, and teach specialised classes including art, drama, music and sports. Whether you have the confidence to teach or are happy just lending a hand, the school has something for everyone and our girls will make sure you never forget the experience. The local Kpandai Hospital and the nurse led Village Clinic are happy to welcome visits from volunteers. We have previously donated Medical Equipment such as Baby Scales, an Electric Auroscope/Ophthalmoscope, dressings and bandages to help the local Medical Facilities. The school has its own dispensary with a good supply of medications, donated toothbrushes and essential toiletries for the girls. Previous medical and dental volunteers have helped with healthcare awareness by teaching the pupils about Malaria Prevention, First Aid Procedures, Treatment of Diarrhoea, Dental Hygiene and the importance of Hand Washing using the Veronica Tubs providing fresh water throughout the school. Students and graduates from a number of universities across the UK have found volunteering with Let Us Shine to be an invaluable experience, particularly those interested in pursuing a career in education, social welfare or international development. Please contact us if you wish to volunteer with us.